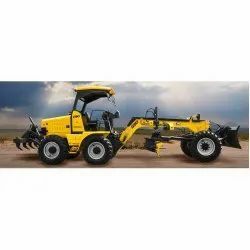 We have complete in-house range of Construction Equipment like Modern Machinery Tools and Tackles. We manufacture both conventional and modern system of Scaffolding and Form work. Our Construction Equipment are one of the world's leading Construction Equipment with a wide product range. We offer you guaranteed low price for the best value of money. Popular Engineering & Trading Co.
- 100 ton Double Acting Cylinder 6 nos. - Suitable Power Pack 10 H.P. Supplying Construction, Port and Harbor Equipments including Excavator, Cranes, Forklift, Container Handler, etc. 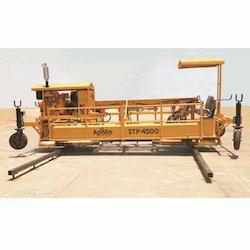 KDI Technology (Khodiyar Development and Infrastructure (P) Ltd.) is the leading Manufacturer Company of best quality, cost effective and reliable Road Construction Equipments. KDI Technology belongs to Khodiyar Group. Khodiyar Group involved in the business of Pharmaceutical, Printing etc. Our construction machineries has been appreciated across the globe for its durability and easy mode of operation. These machineries are manufactured to work in any rugged conditions. Apart from this, these machines are of the used in various industrial and commercial building purposes.